Apple’s stock on Monday dipped below $500 for the first time during last 11 months after reaction by investors on reports of Apple’s iPhone sluggish demand in comparison to Android smartphones. The reports suggests that Apple has reduced its supply orders for the parts required to build the latest iPhone because of poor sales of iPhone 5 against the expected. The Apple has cut down its orders of iPhone 5 displays to half the 65 millions in current quarter the Nikkei reported. Apple Inc. based in Cupertino declined to offer any comments Monday. On September 5 after touching the peak $705.07 on iPhone 5’s release. Apple’s stock has declined nearly by 30 per cent. The shares declined to $18.55 or by 3.6 per cent on Monday’s regular trading at $501.75.It dragged Apple’s market value to almost $190 billion from its September peak. Apple stocks traded at nearly $498.51 in early morning that is its lowest price since February,2012. Apple Inc. (AAPL) Ex Chief Executive Officer, John Sculley said that Apple has to focus on its supply chain management and mainly improve its cheap smartphones in emerging markets. John Sculley,added that Apple has to plan its supply in emerging markets as the market in U.S. and Europian countries is saturating now for devices like iPhone 5. Sculley further said that Apple has to improve its supply chain management both for high end phones from $500 to low end phones of $100 Each. Currently, iPhone is Apple’s most important product since Apple’s late CEO, Steve Jobs, announced its first model in year 2007. Since its launch Apple has sold over 271 million of the devices, iPhone generated $80 billion in Apple’s fiscal year that ended in September, which is Apple’s half of total revenue. 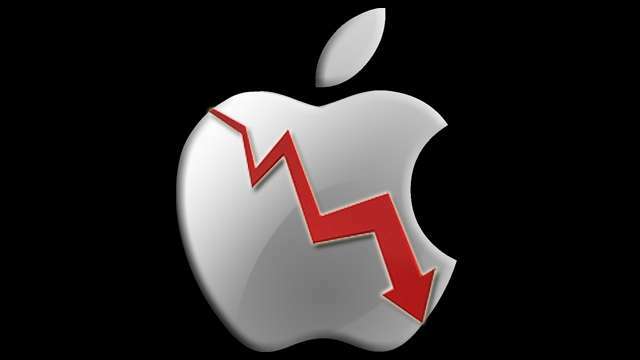 Last month Apple reduced production by 30 percent due to low consumer demand. Apple Inc has also recently introduced new installment plan that are available on Chinese websites.The new plan allows users to buy Apple product at price of CNY 300 or above. Currently, the offer is only valid for credit card users of China Merchants Bank (CMBC). The max order allowed can be as high as CNY 30,000 with installment plans of 3-24 phases. Apple CEO, Tim Cook is presently visiting China and plans to establish more retail shops in China.